Size: about 18mm in diameter, 6mm(Range: 5.5~7mm) thick. All new styles in unique glass. 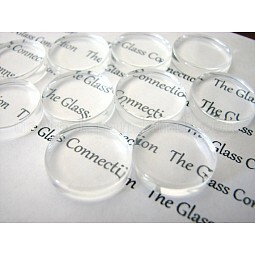 Tempered glass cabochons transparent surface. After sticking on a pattern, cover on the tempered glass, for long-lasting wear. Use these cabochons with any flat components on a chain or a cord to be a decent necklace, bracelat, or your cell phone' strap.